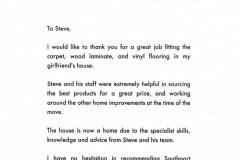 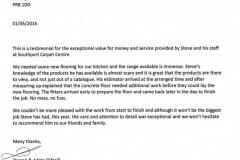 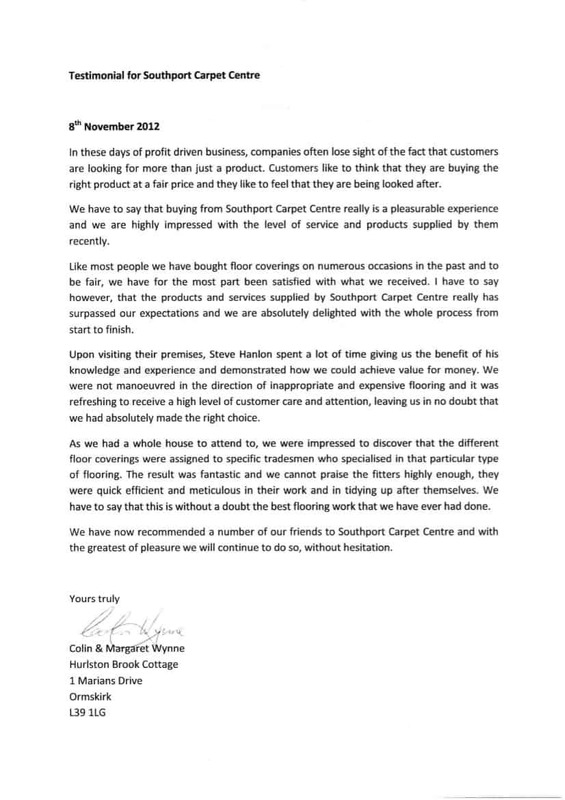 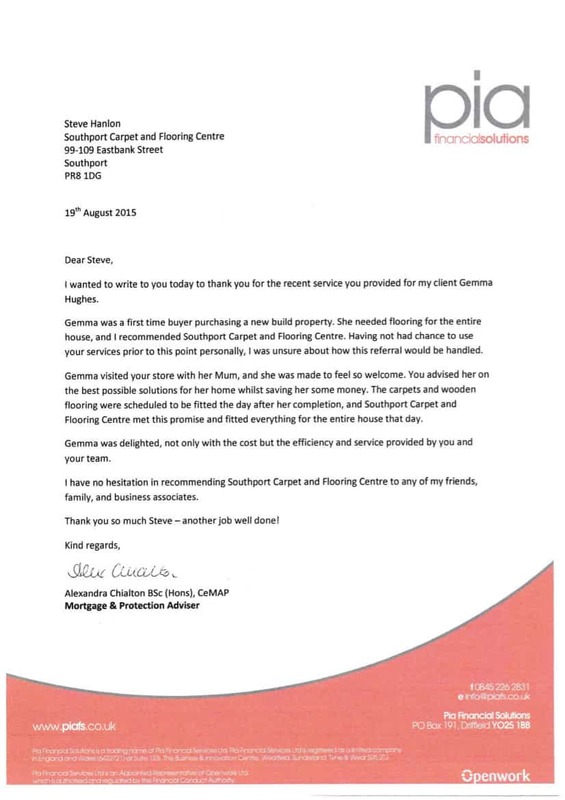 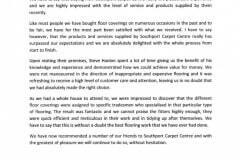 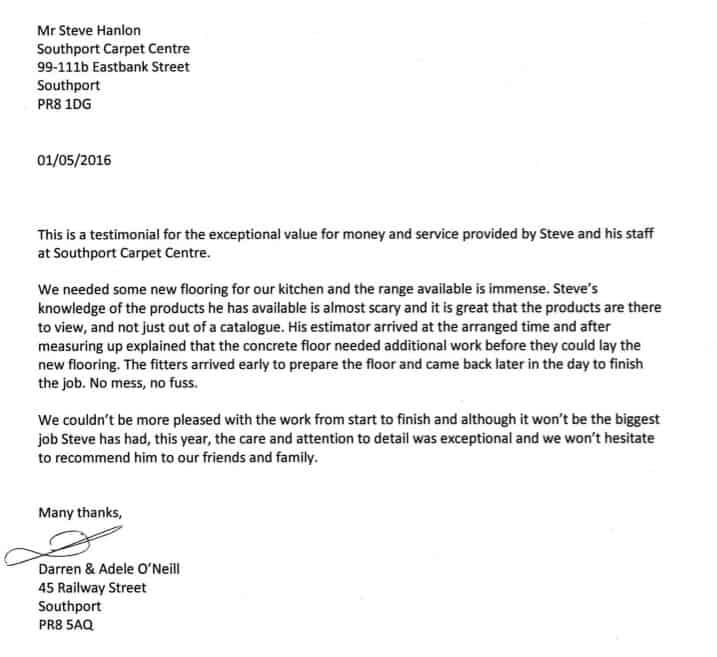 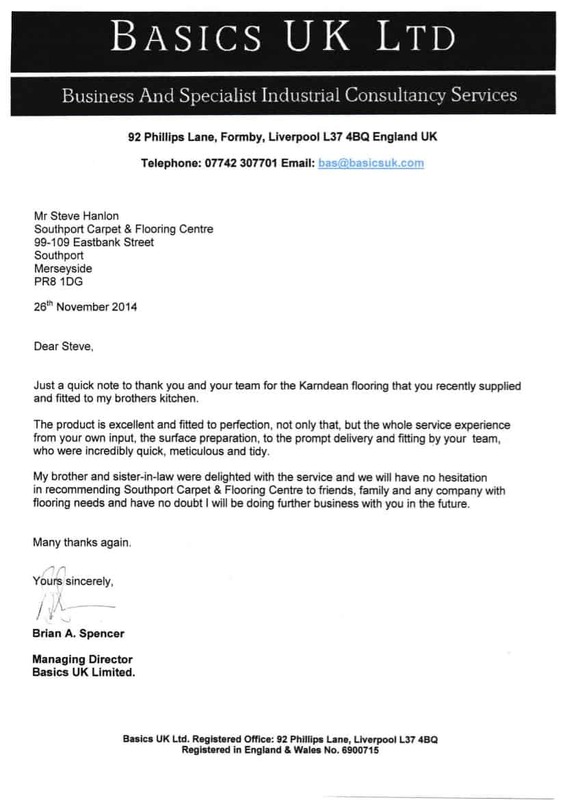 …we’ve never had Karndean before and the hints and tips were invaluable. 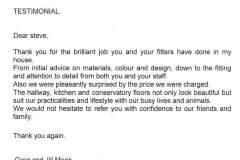 Our stairs & landing are transformed and we didn’t have to leave the comfort of our own home. 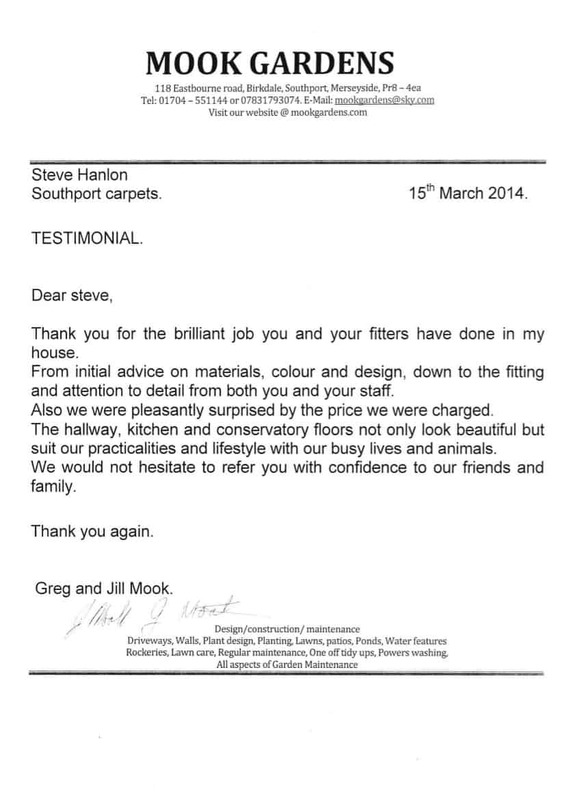 …such a wonderful job of fitting the new carpet in my living room, hall, stairs and landing. 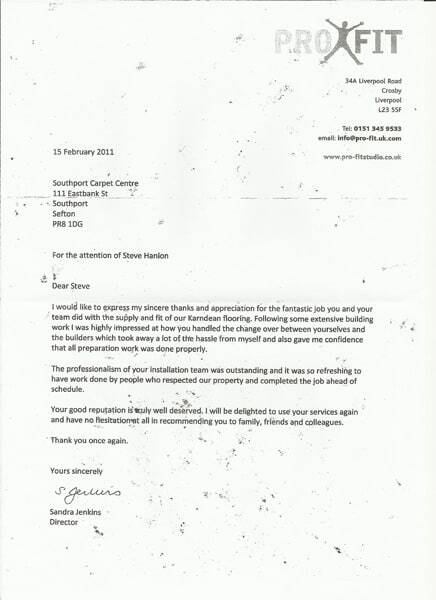 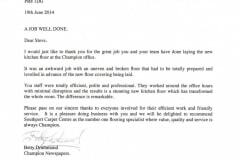 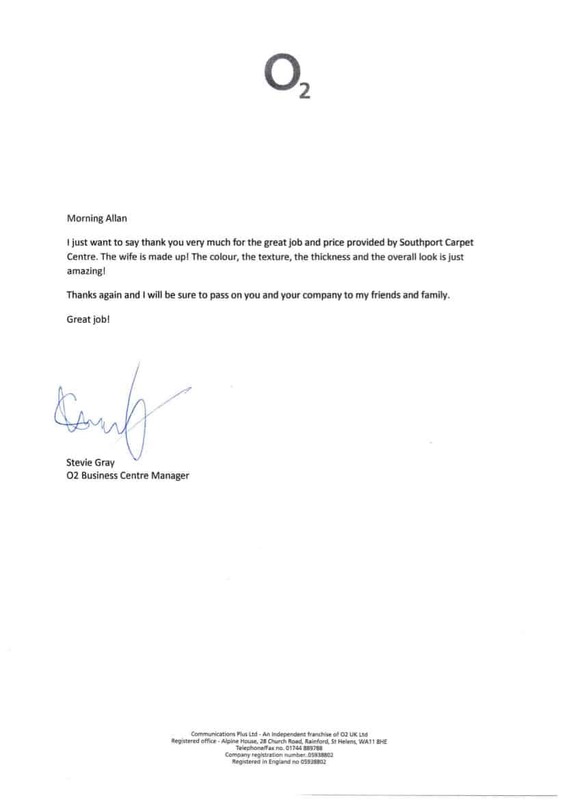 Congratulate your team on a professional and thoughtful approach to a difficult job. 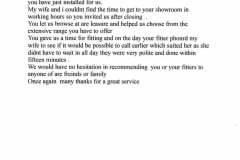 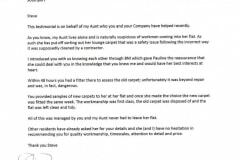 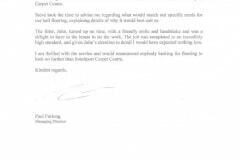 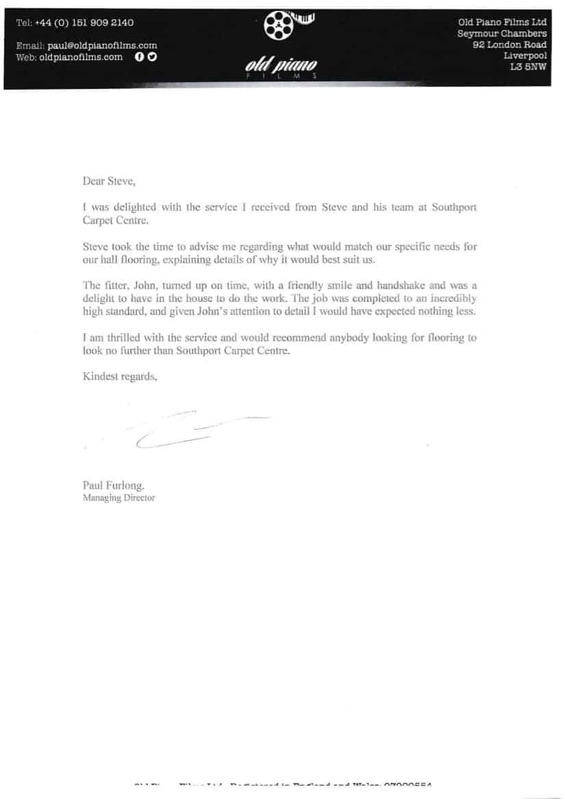 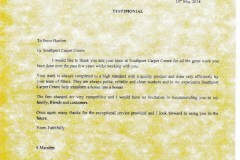 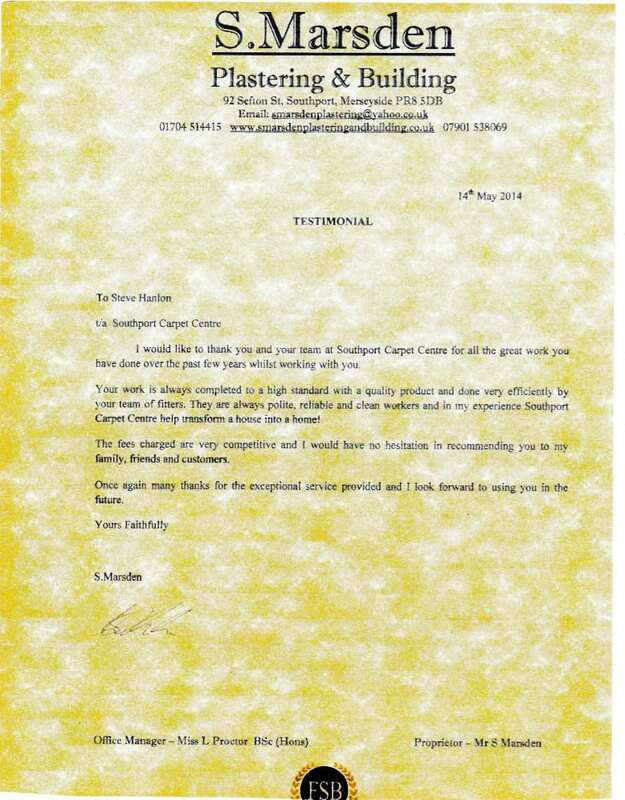 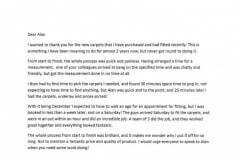 The excellent service, advice and help given to me by your salesman was faultless. 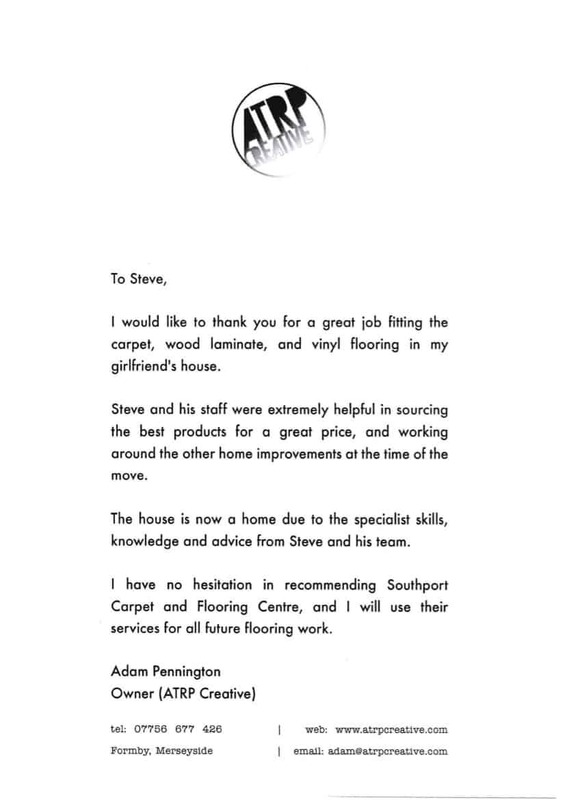 He did a cracking job fitting the floor! 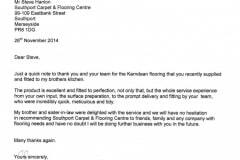 …making our home look so nice with your quality carpets. 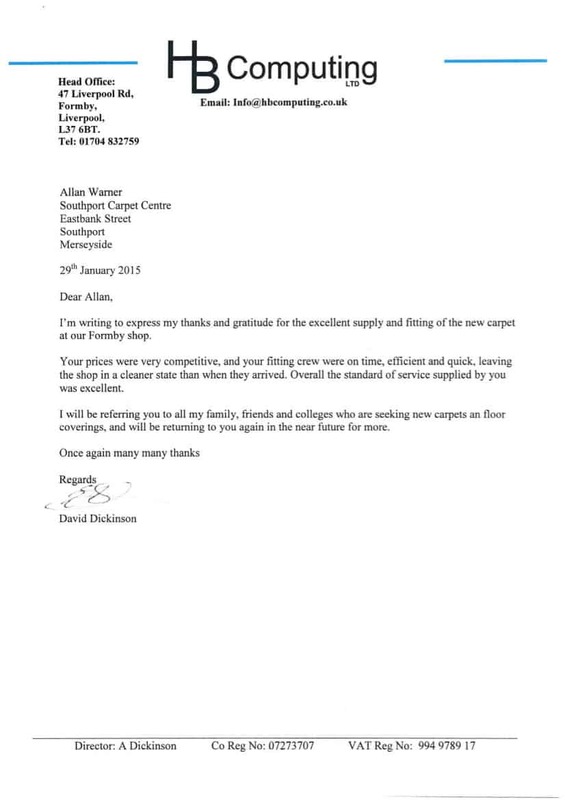 …a little note to say ‘thank-you’ for your help over the past few weeks. 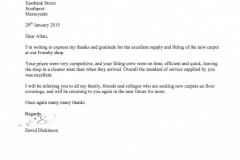 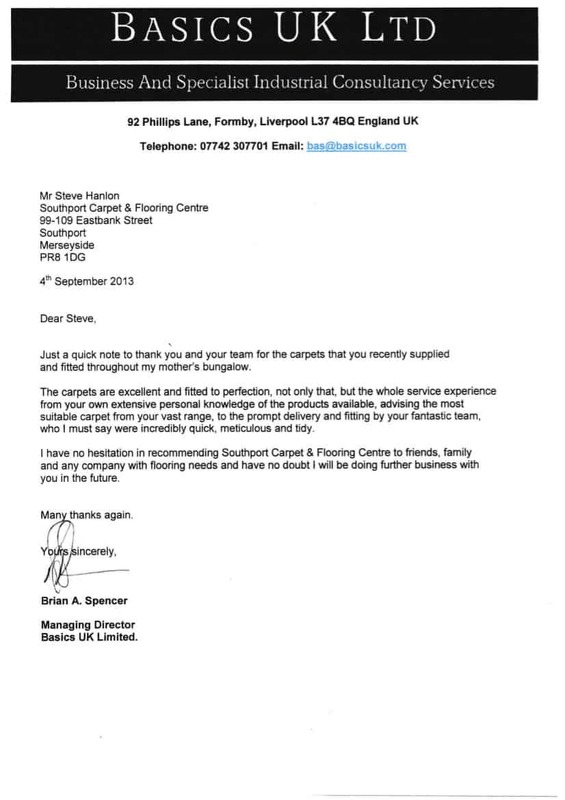 …thank you ever so much for the amazing carpet! 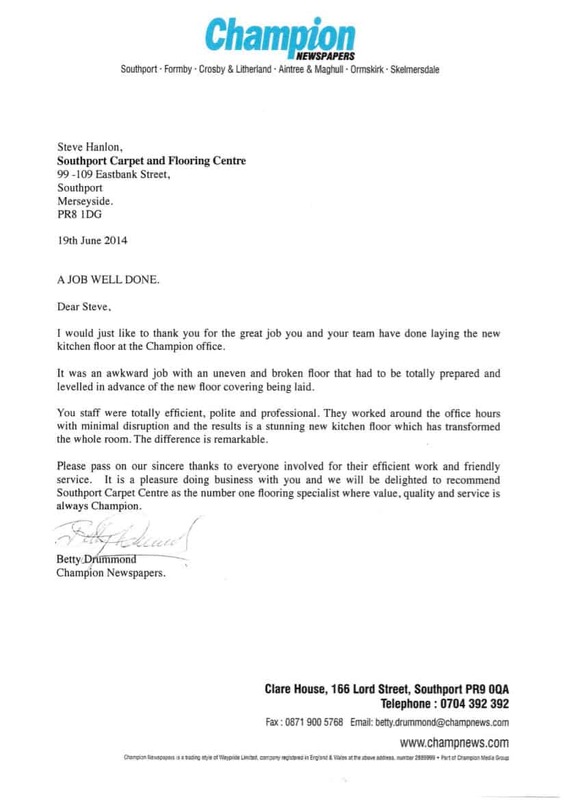 …all three members of the team were well mannered throughout. 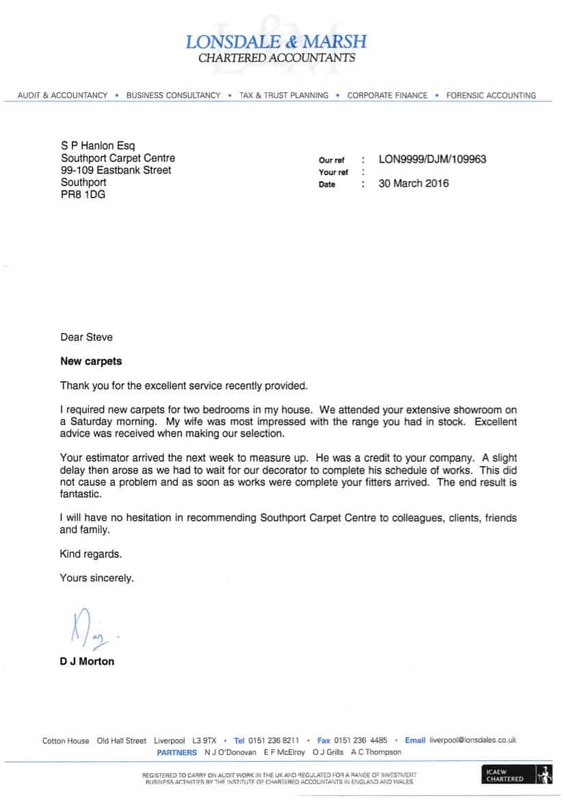 Thank you so much for putting that finishing touch to our home. 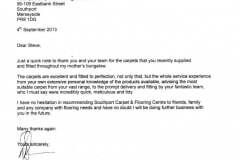 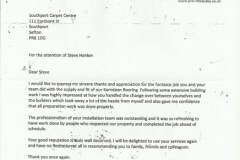 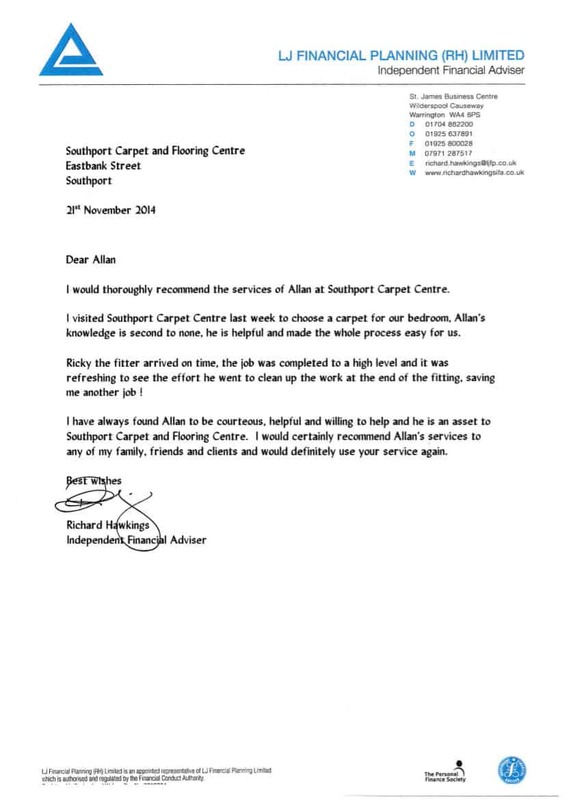 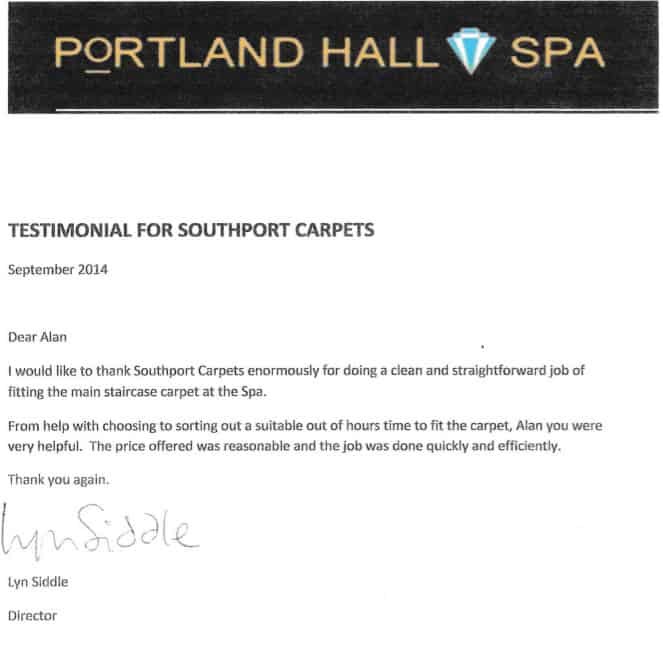 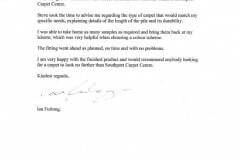 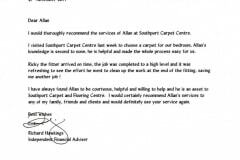 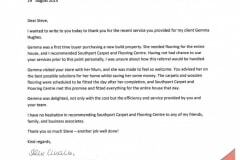 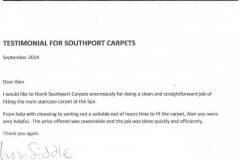 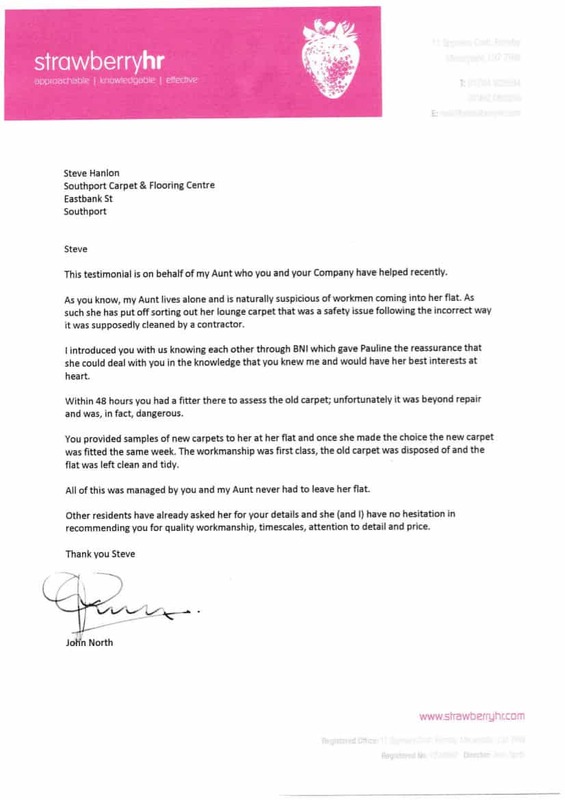 Your floor fitters and carpet guys have done a wonderful job to a very high standard and I thank you for that. 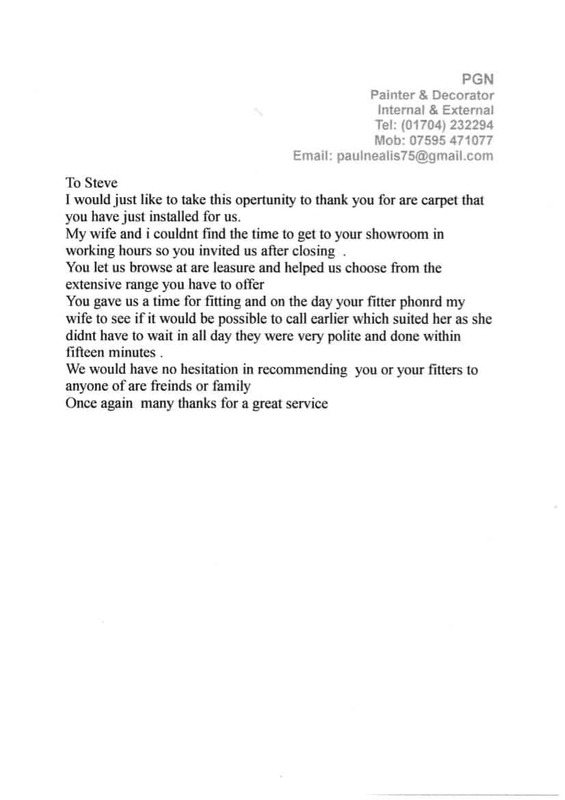 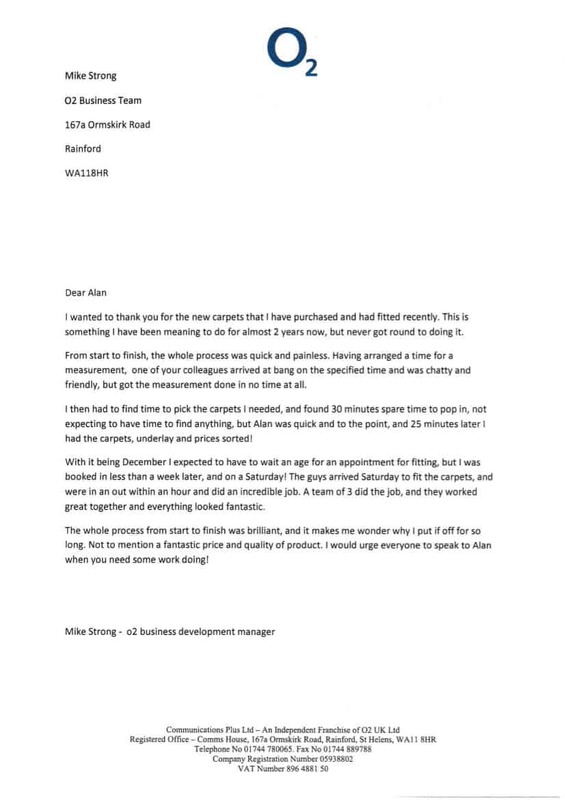 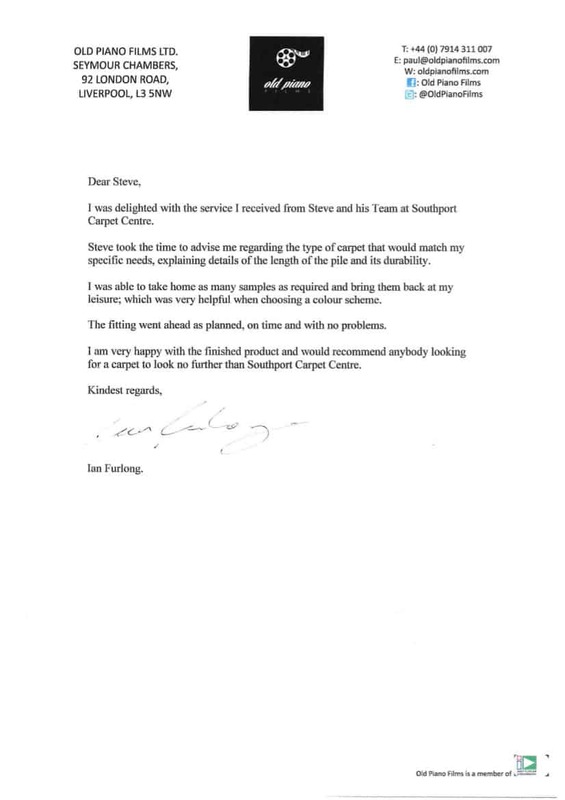 We’ve got so many testimonials from our lovely clients, both commercial & domestic, we couldn’t possibly show them all here but do pop into our Eastbank Street showroom where you’ll find them freely displayed for you to browse.